Welcome to the November 18, 2009 edition of the Carnival of Genealogy. The topic for this edition is: What the COG means to me. I didn't come up with the idea for this topic, but when I heard it I loved it. 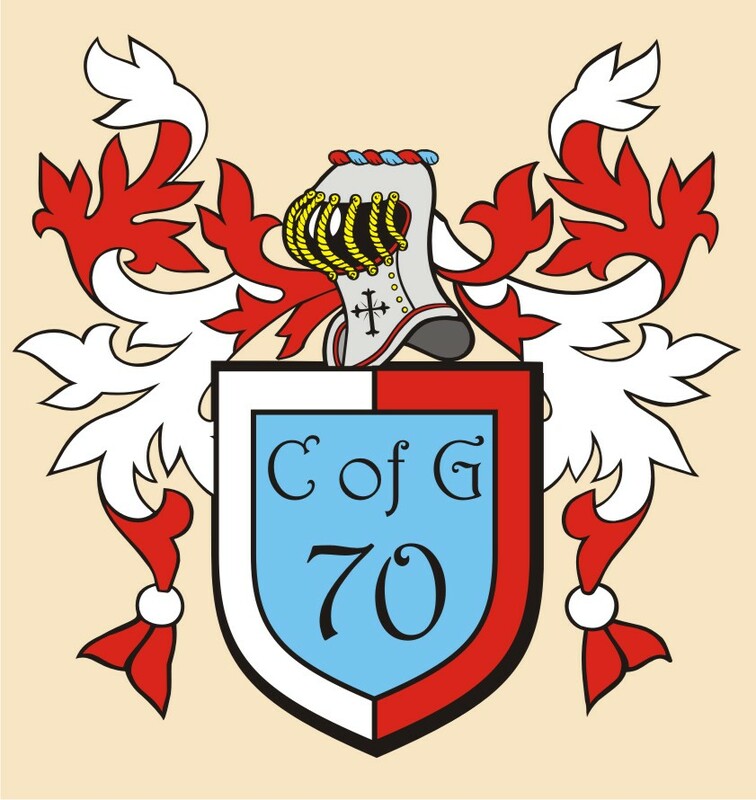 With 83 editions of the COG published it seemed like a great idea to hear about people's experiences participating in the Carnival of Genealogy. So today you'll get to read about the pressures of deadlines (turns out, it's a good thing! ), challenges of writing for topics (not always easy), making a community out of a carnival (who would have thought? ), making family connections (gotta love that part ;-) , pride (writing for the COG is definitely something to be proud of! ), and getting the family history recorded (yeah!). 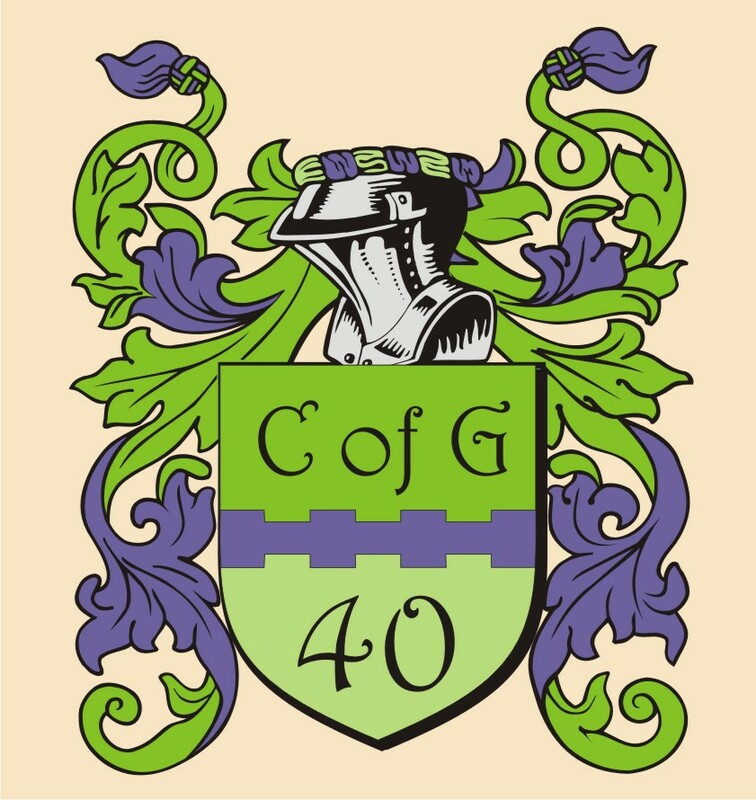 You'll laugh, you'll cry (OK, maybe not ;-) , you'll be impressed, and you'll be amazed at the impact the COG has had on people's genealogy research and even their lives. I've organized this collection of articles by the number of editions each contributor has participated in, including this one. The number is designated in brackets [ ] before my comments. I did this for a couple reasons, 1) To show that even participating now and then has it's benefits, and 2) To honor the real veterans who have written for the COG many, many times. These are the folks who have made the COG the wonderful publication it has become. Late fall is with us and the chill of winter is knocking at the door. Pour yourself a steamy hot cup of coffee (may I suggest hazelnut?) with a dollop of whipped cream on top (try it, you'll like it!) and settle back into your chair. Ease into the day with some good positive vibes... the Carnival is back in town! Kathryn Doyle presents Imitation is the Sincerest Form of Flattery posted at the California Genealogical Society Blog. You have been such an inspiration to me and to so many others. Thank you for your support of the CGSL blog and to the new GenSo venture. You are the BEST. Dear Kathryn hasn't participated often in the COG but that's not due to a lack of enthusiasm. She has special challenges writing for a GenSo (genealogical society) blog. The COG topics don't often work for her, which is why she has started her own carnival just for GenSos... coming in January 2010! Thank you so much for your very kind words about the COG Kathryn. I can't tell you how happy it makes me to know that I made a difference. Off the top of my head I don't remember saying GenSos should start a carnival but I guess I did, eh? My memory isn't what it used to be ;-) Thanks for all the credit. You are too kind! 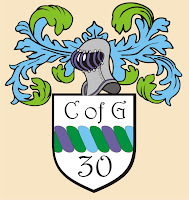 And thank you from the bottom of my heart for saying this, "I know that COG means Carnival of Genealogy but I am sure that gen-bloggers everywhere will agree that it also stands for Community of Geneabloggers." Charles Hansen presents What The Carnival of Genealogy Means to Me posted at Mikkel's Hus, saying, "I am a real new comer to the COG, but I hope to be around for a while to contribute more articles." Charles, thank you so much for your charm and candor! 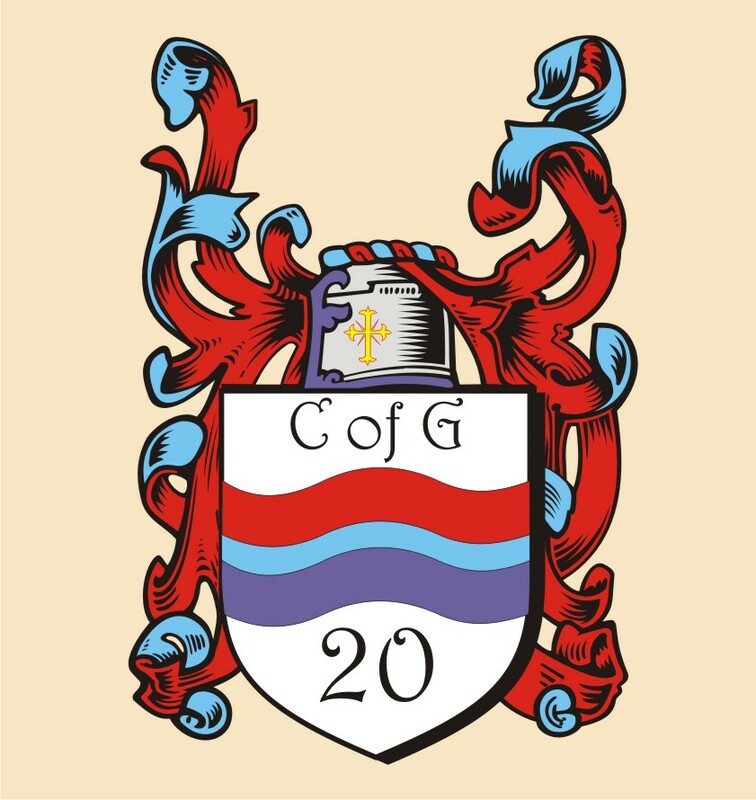 We look forward to reading more from you in the COG in future editions. I'm glad you decided to join us! 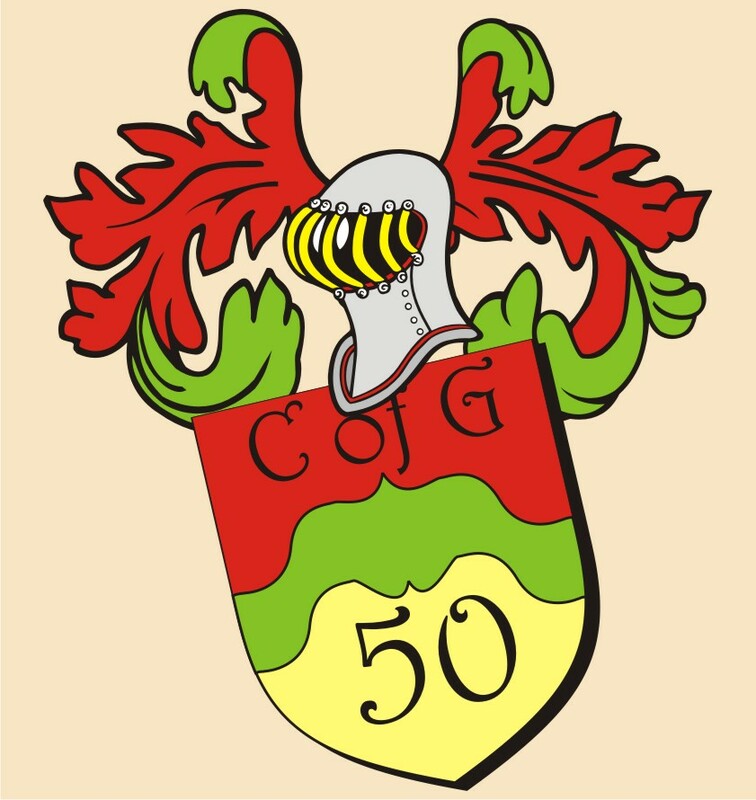 Greta Koehl presents What the Carnival of Genealogy Means to Me posted at Greta's Genealogy Bog, saying, "The timing of this COG topic is perfect for me - it marks nearly a year of my participation in the COG and immediately precedes the first edition that I will be hosting. 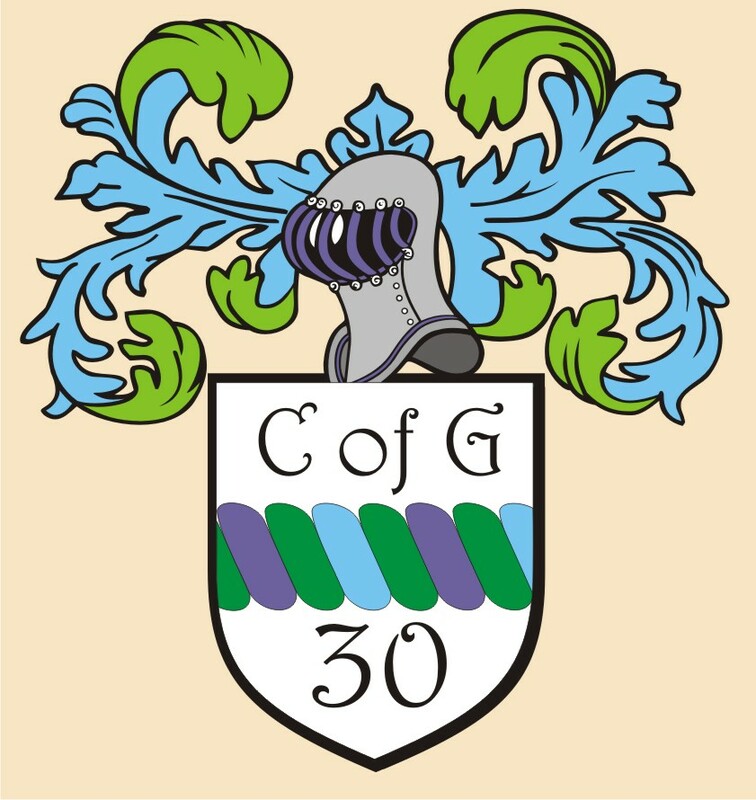 What has the COG meant to me as a genea-blogger? It has helped to teach me how to accomplish two of the most difficult tasks in genealogy - writing up the results of our research and writing down our own lives for our descendants." Greta is a great example of making a themed writing project work for her personally. She's used the COG as a spring board for her own writings and we have all benefited as a result. I look forward to your "memories" articles every week Greta (That was one of her New Year resolutions, COG #63)... they usually take me right down my own memory lane! . Thanks for your wonderful article on what the COG has meant to you. I look forward to your hosting the next edition of the COG too! M. Diane Rogers presents 84th Edition - What the Carnival of Genealogy Means to Me posted at CanadaGenealogy, or, 'Jane's Your Aunt'. Diane said it best, "I think participating in the Carnival of Genealogy is a bit like getting together with family and old friends." I couldn't have said it better myself, Diane. It certainly does feel like getting together with those near and dear to us. And you know how we all got to that place? By writing often and well for the COG, just like you do Diane. Thank you for the lovely tribute article. 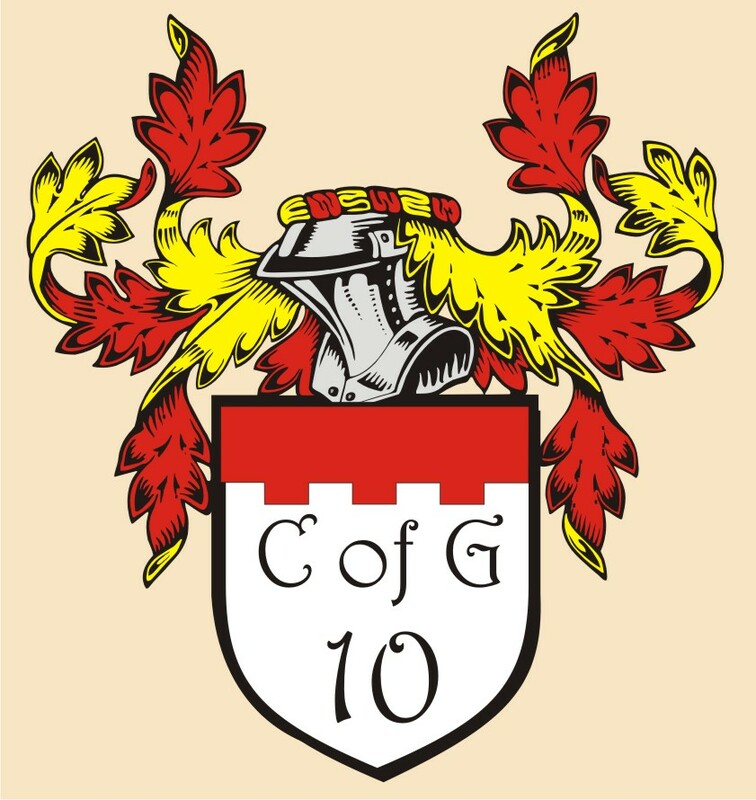 You consistently do the COG proud! Wendy Littrell presents Loving the Carnival! posted at All My Branches Genealogy, saying, "The CoG has brought me new friends, connections with distant cousins, and encouragement. This was the easiest article to write for the CoG!" Wendy wins my heart for submitting the first article for this edition of the COG. And what a great article! Not everyone can make the claims Wendy has but she is a terrific example of the many good things that can come from participating in the COG. Thank you, dear Wendy, for all you have contributed to the COG and for the very, very nice tribute article! Janet Iles presents What the Carnival of Genealogy Means to Me posted at Janet the researcher, saying, "The COG means community. It has me looking more at the stories of the family and not just the names." I was going to pull these same lines out of Janet's post to quote her but she's already done it for me! Janet writes from the heart and is very good with words. In this COG submission she writes of being moved by the articles that others write for the COG but Janet, I could say the same of yours. You write well and are a wonderful contributor to the COG. Thank you for all your COG contributions, being a guest host, and for the very moving tribute you've written here. 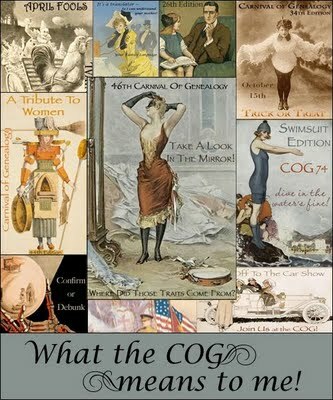 Donna presents Why I Love the COG posted at What's Past is Prologue, saying, "I started my blog after reading several great editions of the Carnival of Genealogy - it looked like fun, so I wanted to join in! 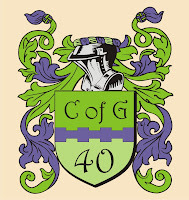 The COG is what makes us a community - not only has the COG meant a lot to me for my own writing, but I have learned so much from others' writing!" Clearly Donna is a big fan of the COG but more than that she is a very talented writer and a very astute judge of good writing ;-) . Seriously, if one can use that word when speaking of Donna our community comedienne, Donna brings her best with every submission to the COG. Whether she's describing her research, sharing a funny memory, enlightening us with her delightfully Polish surnames, or taking us to lands far away, Donna does it all with style. And we, are all the better for knowing her. Thank you, thank you, thank you, Donna, for such a wonderful tribute! Thomas MacEntee presents The Carnival of Genealogy: Meaning Through Writing | Destination: Austin Family posted at Destination: Austin Family, saying, "COG means a great place to write and a great place to meet writers." Thomas writes not only from the heart, but from his soul as well. Those who read his articles will be moved by them. And he sets a good example of how we can all write our family histories in an engaging way. Thank you for the very nice tribute to the COG, Thomas. And thanks for all you've done to promote and host the COG! Apple presents Apple's Tree: The Seed from which Apple's Tree Grew posted at Apple's Tree, saying, "If not for the COG there would be no Apple's Tree!" I am ever so glad you contribute to the COG as frequently as you do, Apple. 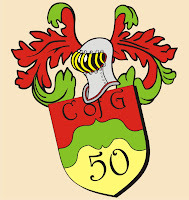 Having participated in 42 editions of the COG you are truly one of the veterans. Any "newbies" reading this should pay attention to Apple's COG articles. She is very good at conveying information in an engaging way and her writing seems effortless. Thank you, dear friend, for all you do to support and promote the COG. I always look forward to reading your posts, and I LOVE the apple you made of the COG topics! If not for you, the COG wouldn't be what it is today! Miriam Robbins Midkiff presents The Joy of COG posted at AnceStories: The Stories of My Ancestors, saying, "Reflections on how the Carnival of Genealogy made me a better blogger and researcher, and brought notice to my blog, and a list of my submissions over the years." If I had to nominate one person to teach the art of writing for the COG, a person who nails it article after article, it would be Miriam. Not only has she written often for the COG but she writes articles that people remember and want to read again. Her ancestors come alive when she shares them with us. Thank you, my dear friend, for all your many contributions to the COG over the years. Thank you for hosting and thank you for all you do to promote the Carnival of Genealogy. You set a high standard for the rest of us! Steve Danko presents How the Carnival of Genealogy Makes the World a Better Place in which to Live posted at Steve's Genealogy Blog, saying, "This was an article I really wanted to write!" Steve and I were separated at birth, did you know that? We are kindred souls on many levels. All that aside, Steve was the earliest member of the genealogy blogging community to jump on board the COG. And he didn't stop there. He has been a regular contributor to the COG over the years and for that I am very, very grateful. These days Steve is a busy guy... besides his day job, he's on the genealogy speaking circuit, studying to become certified as a professional genealogist, and traveling to Poland and back to further his personal family history research. When I get stuck with a Polish-English translation, who do I turn to? Steve. And he always helps me out. When I emailed him for feedback on the COG he was right there for me. In fact, it was Steve who suggested this topic for the COG. Busy as he is, he's still writing for the COG with this wonderful tribute. You're tops on the friend-o-meter Steve. The COG wouldn't be the where it is today without you. Bardzo dziękuję Staś! Bill West presents THE CARNIVAL OF GENEALOGY AND ME AFTER 83 posted at West in New England, saying, "83 editions? I can't believe it's been so many so soon! I'm glad I was able to get back online in time to take part in number 84." Bill is definitely an adaptive thinker... you'd have to be to have participated in 56 COGs!!! He manages to come up with great posts time after time. I think this man is related to half of New England! And funny, he sure can make us laugh! He's hosted the COG, promoted the COG, and been a regular contributor to the COG. Bill, you are one great friend to the COG (and me!). Thank you for all the many ways you have contributed to and supported the COG! Becky Wiseman presents Something Better than Good posted at kinexxions, saying, "Blame it on the CoG. Or credit the CoG. Depends on your point of view, but the CoG is one reason kinexxions exists. 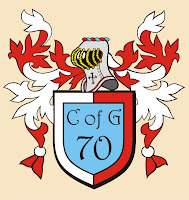 And the CoG has become something better than good, and it has been a pleasure to have been part of it." Becky is currently on an extended tour of our beautiful country and Internet access isn't always available to her. So you can imagine how honored I was when her submission for this edition was the second one I received. It's not surprising when you think about it though. Becky has been a very frequent contributor to the COG from way back in the early days. Not only has she contributed often but she has contributed well... well researched, well thought out, well written, well documented, and well received articles. Becky is another who sets a high standard for the rest of us to follow. She inspires us to look deeper and write better when it comes to recording our family histories. Thank you, dear friend, for the wonderful tribute, and for hosting and promoting the COG. Randy Seaver presents What has the Carnival of Genealogy Meant to Me? posted at Genea-Musings. Randy. I don't even need to include his surname, everyone knows who he is. He is the most prolific blogger in the genea-blogosphere and the most prolific blogger in the COG! Obviously Randy has participated in almost all of the editions of the Carnival of Genealogy (84.52% WOW!). Not only that but he has been the most vocal supporter and promoter of the COG too. He was the first to announce the publication of each edition of the COG on his blog and he continues to mention each edition in his weekly roundups. Did you notice how many of the tributes written for this edition mentioned that they first heard of the COG on Randy's blog? That's because Randy is the COG's best friend and staunchest supporter. Month after month, year after year, Randy has contibuted terrific articles to the COG. He writes well, has interesting stories to tell, and he is related to ALL of New England, LOL! Randy has a special talent for writing in a way that makes complicated subjects easy to understand. Whether he's writing about one of the 20,000 ancestors on his family tree or taking us step-by-step through a piece of software, he manages to write clean and engaging articles. Randy, how do I begin to thank you for all that you have done for the COG? You, more than anyone else, have set a standard for the rest of us. We follow in your footsteps, though our feet are sore... how do you do it? LOL! Thank you, dear friend, for the wonderful tribute and for all that you have done and continue to do for the COG. You are loved and appreciated more than you could ever know. Jasia presents What the Carnival of Genealogy Means to me, The Hostess and What the Carnival of Genealogy Means to me, The Writer posted at Creative Gene. <<<- Notice this number? It's not 84! That's right, I haven't written for every edition of the COG, LOL! It's a little embarrassing to admit but Steve contributed an article to the COG (edition #3) before I did (#5)! Remember how Steve told you we were separated at birth? Well, he's older and he got the jump on things! LOL!!! The earliest editions of the COG were written by me but they more resembled the "weekly roundups" that people write up on their blogs now than the format that has become familiar to us in the COG. I actually did not write articles for editions 1-4, 7, 8, or 9. But I think I've written for all the rest! footnoteMaven presents Warm and Welcoming posted at footnoteMaven, saying, "My first post, Shelter From The Home and Hearth, was also my first contribution to the Carnival of Genealogy. That was the 19th Edition of the COG and the COG and I are both still here!" [?] I don't know how many editions fM has written for and that's why she's listed in the "Honorable Mentions". 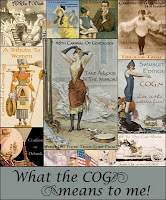 But I know she submitted articles to many, many editions of the COG, created poster after poster for the COG (all TERRIFIC! ), and has done everything she could to promote the COG. I don't need to tell you what a talented and creative writer she is, but I will anyway. fM is the poster child for creative family history authors. She is the queen of footnoting (I bow in her presence) and she writes the most compelling family history stories I've ever read. Thank you, fM, for the wonderful tribute and for being such a great friend to the COG and to me. All our lives are richer and better because of you, but especially mine. 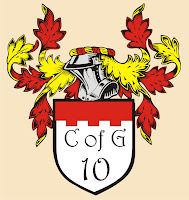 Sheri Fenley presents The COG and Me posted at The Educated Genealogist. "Thanks and mucho more thanks for the last 3 years of COG!" What better way to end this edition of the COG than with humor! We can always count on Sheri to makes us smile. I had to laugh when I read her submission to this edition... she gave me a "Get Out of Hell Free" card. If that's not a license to party hardy and behave badly I don't know what is ;-) Thanks for your hilarious tribute to the COG, Sheri, and I'll look forward to reading those articles you promised to contribute next year! Call for Submissions! The topic for the next edition of the COG is: “Orphans and Orphans.” The first type of orphan refers to those ancestors or relatives who lost their parents when they were young. The second type of orphan would be those siblings or cousins of our ancestors whom we think of as “reverse orphans.” They are the relatives who, for whatever reason – death at a young age, never having married or had children, or having children who did not survive to provide descendants – have no direct descendants of their own, so it falls to us, their collateral relatives, to learn and write their story. Greta will be the host this time around (thank you Greta!). The deadline for submissions is December 1st. Technorati tags:carnival of genealogy, blog carnival.